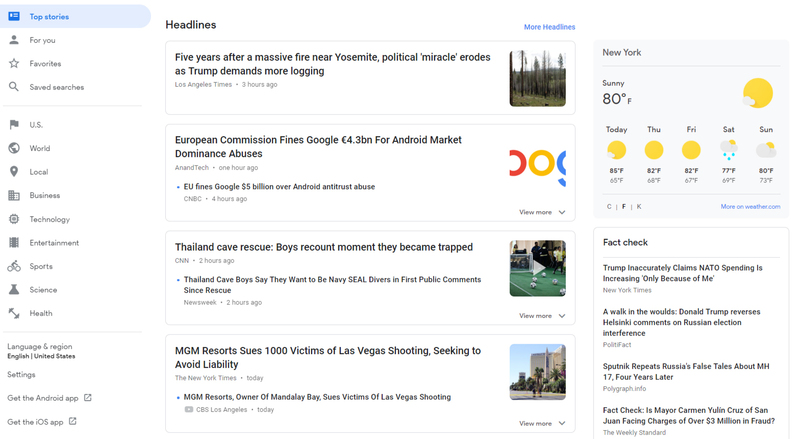 Just two months ago (May 2018), Google rolled out a new and improved version of Google News. The AI-based news aggregator provides a steady and evolving stream of news stories for readers. One appeal of Google News is its “For you” tab, which personalizes a reader’s feed to show the most relevant and attention-grabbing content according to his/her preferences and user behavior. Also, “Subscribe with Google” gives publishers data and tools to find, retain and charge subscribers. 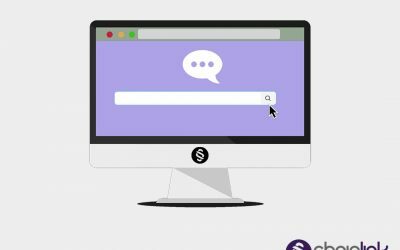 The type of valuable, industry-specific news-related content that your company writes anyway has a chance to be seen and clicked by thousands when it appears towards the top of Google’s News feed. Making sure that the newsworthy content written for your company’s blog is up to the standards of Google News increases exposure for your business. If you carefully follow Google’s guidelines (and write about current topics that people want to read) Google News can help take your efforts to the next level. Even better, you don’t have to be the New York Times, Forbes, or Business Insider to be visible on a Google News feed. 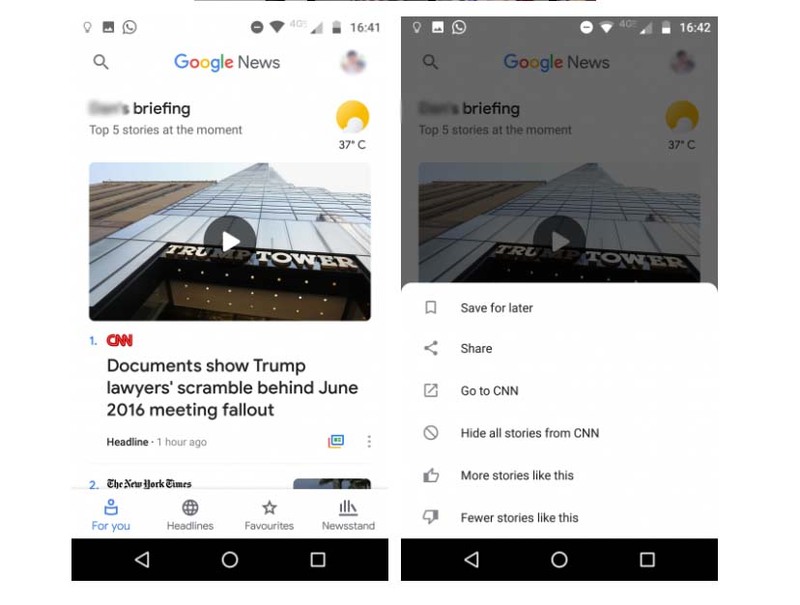 Keep reading if you want to know more about the updated Google News app, and want to learn exactly what rules to follow to increase your articles’ chances of being seen. 1) “For you” is a personalized daily briefing , highly customized based on the data Google’s powerful machine learning AI technology can gather. 2) “Headlines” is designed to be the tab that does not personalize content. The news found in this section offers all the top stories of the day of all topics and sources. “Headlines” allows users to have a more well-rounded news reading experience. After all, Google realizes that as wonderful (and powerful) as personalization is, it’s important to diversify your news consumption. 3) “Favorites” is exactly what is sounds like: providing readers with the ability to mark and save their favorite articles/publishers. 4) “Newsstand” allows readers to subscribe to their favorite news magazines and publications and download them directly on their devices. Note: the majority of the subscriptions require a monthly cost. 1) Publishers can sign up for the business terms and license their content to Google News through Google News Producer. 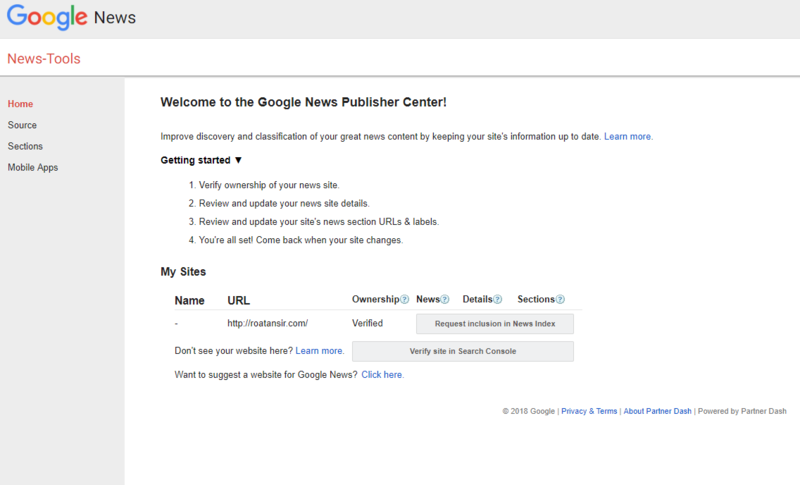 2) Publishers can also submit their website for inclusion through the Google News Publisher Center. 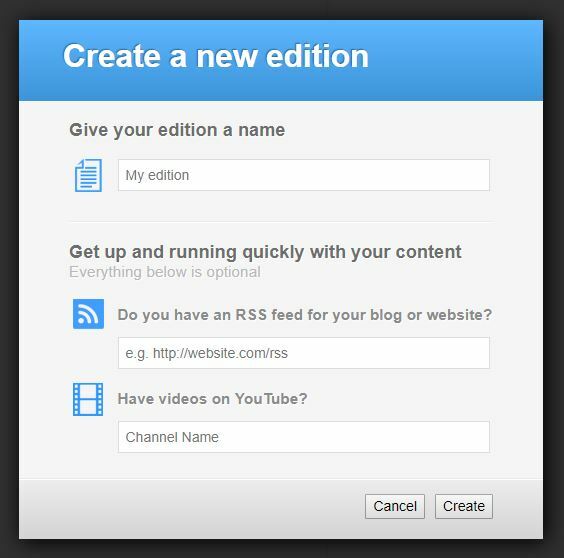 Google News Producer is a production tool that allows you to produce (and monetize) content that you already published on your website/blog. If your news is available through a feed, you can submit your site’s content through Google News Producer. It’s not mandatory to use, but it provides publishers with some great advantages. For example, you have the control to decide how your content appears in Google, such as your logo, design, colors and placement of important contact information. 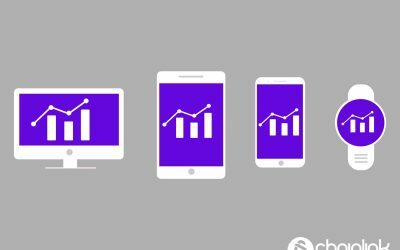 Also, it’s in your best interest to sign up with this because it provides a better framework for optimizing your content for mobile devices. When you first click on Google News Producer, you’ll see the options for creating a “new edition”. After you click “create”, you’ll be able to see your customization options. Google clarifies that Google Producer is not its own content management system (CMS). Therefore, any type of content (from text to image to video) has to be linked from Producer. However, news/blog publishers still have editorial control over the user experience of their content in Google News like they would when using a CMS. You can also manage on-site ads within this Google Producer as well. 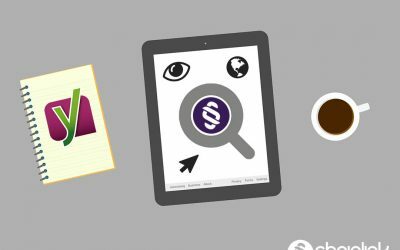 You can improve the discoverability and classification of your content by telling Google what parts of your site to crawl through Google News Publisher. To submit your content to Google News in a format that is likely to get accepted is by making sure you’re Google Webmasters certified. When you navigate to Google Search Console, you can verify ownership of your news source (blog) so that it appears under Google’s Publishing Center. Verifying ownership of your site is the very first step. The Publishing Center shows a list of all the blogs you own, and you can update information related to them if anything is outdated. 2) Make sure that Google has your site’s most up-to-date section URLs in their system.You will most like have to update some URLs to match any changes you made to your site structure over time. If you added any new sections to your blog, you need to make sure Google is accounting for them. Note: Google defines a “section” as a subdirectory of your news site/blog where you’re consistently posting newsworthy articles. A section contains articles of the same category/topic. To learn how, Google explains how to add and edit section URLs here. 1) Label your section URLs appropriately by topic. 2) Ensure that the information about your news source/blog is correct (your site name, domain URL, language, country, etc. 3) Make sure your labels are accurate (you can review the source labels applied them to your site in Google News). In terms of Google’s content policies for Google News, most of their rules are common sense. Prohibited content includes anything that qualifies as plagiarism, explicit, hateful, etc. Google News is also strict about prohibiting content that “…conceals or misrepresents sponsored content as independent, editorial content”. If you want to be favored by Google News, it’s wise to limit the advertising/paid promotional material in general. Google’s bots (web crawlers) for Google News need instructions so they can only crawl what matters: the news content on the site. This set of instructions to block Google News bots from crawling non-news content (which will lower your chances of ranking well) can be accomplished by updating your robots.txt file, or by adding a specific meta tag to all non-news pages. It’s wise to employ the help of a professional if you are not familiar with blocking web crawlers. One detrimental mistake would be accidentally blocking Google’s search bots from crawling any non-news content on your website (which would be devastating for SEO) when you meant to block Google News’ bots from crawling non-news content. Also, note that Google pays attention to site speed as a major factor in ranking (both generally speaking and for Google News). If you are updating your website and trying to choose a WordPress theme, we would recommend choosing one that loads as fast as possible. When Google News bots crawl your news content from your website. In this case, it would be shown directly from your site on Google News, or linked out directly to your site. You can look for HTTP referrer values to separate traffic from Google News from the rest of your traffic. You can tell that incoming readers with the referrers “news.google.com” or “news.url.google.com” are from Google News. Also, you can use your own on-page analytics. This allows for more in-depth analysis of both your standard HTML and Accelerated Mobile Pages (AMP) articles. 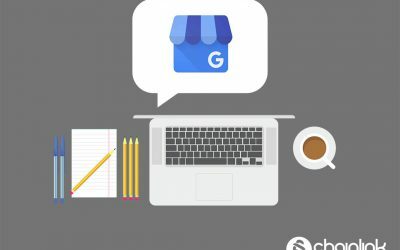 When you set up Google News using Google News Producer, you can provide licensed content via RSS feeds or AMP and track direct traffic to your site via the news.google.com and news.url.google.com referrers. 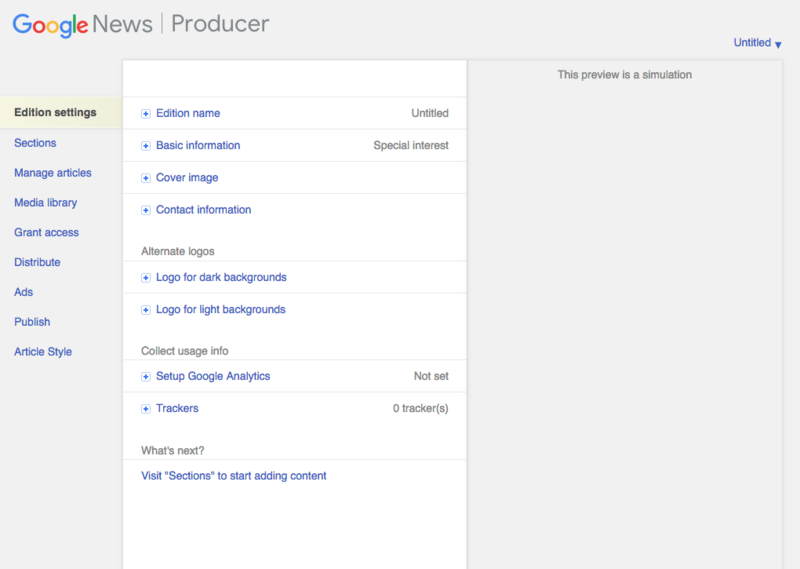 There are other options for setting up tracking in Google News Producer. Producer-based analytics measure the same underlying behavior as referrers. Make sure you carefully set up Google Producer-based analytics because you don’t want to accidentally double-count metrics. Additionally, you can set up tracking in Google News Producer that provides more detail. 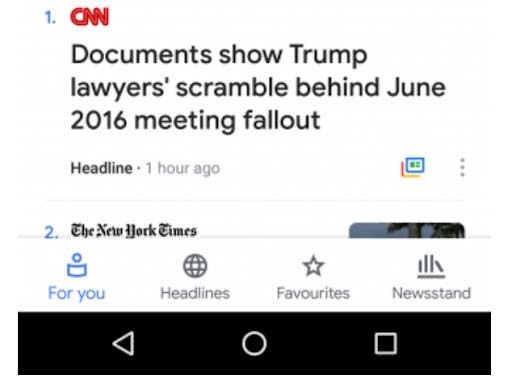 and track content that is rendered natively within the Google News Android and iOS apps. Remember that Producer-based analytics measure the same underlying behavior as referrers, so do not add these numbers together or you’ll double-count activity. Read more about Producer-based analytics. Google News not only presents new opportunities for better visibility for burgeoning blogs and news sites, but also leads the way in our new digital age of news aggregation. It’s important to remember that Google News doesn’t have an editorial team. The traditional human touch of news curation is missing, and yet Google News manages to consistently provide the most relevant content to its readers. Generally speaking, could a news algorithm like that of Google News have its own benefits in the blogging and journalism space? Could it be more fair and help get the right news to the right people in a less biased way? These kinds of questions are sparking insightful conversations about the future of online news and digital journalism as a whole. 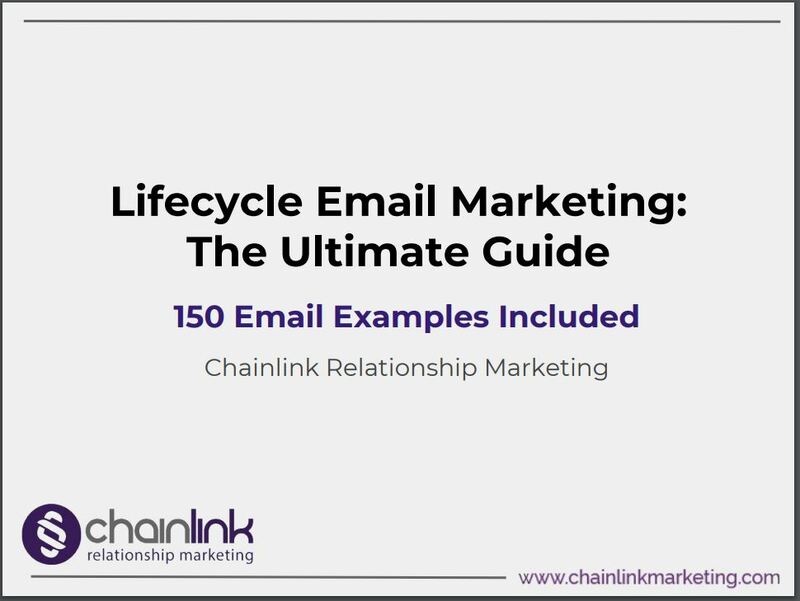 At Chainlink Relationship Marketing, we can help you make sure you’re implementing strategies that produce tangible results and the highest ROI possible when it comes to your news content marketing strategy. Reach out to us below to learn more about how we can help your business grow online. We’d love to give you a free consultation. Also, don’t forget to sign up for our newsletter for more exclusive tips and strategies that are both effective and easy to follow.